Eminem is making a return to the world of cinema, this time however, with a comedy titled Bodied. It seems like battle rapping will always forever be associated with the Detroit MC, seeing as his last major film outing was the incredible 8 Mile – a film which any self-respecting music fan should watch at least once. However it looks like he won’t appear on-screen in the flesh, instead he’ll produce alongside music director Joseph Kahn. Bodied, which is currently in post production follows the story of a university student who sparks outrage and interest after the success of his thesis on the battle rap scene. This will be Khan’s first feature film, with the script of Bodied penned by champion battle rapper Twist, along with Kahn. Prior to this he spent his 30-year-career directing music videos for the likes of Dr. Dre, Taylor Swift, Miss Elliot, U2, Mobb Deep and Lady Gaga. 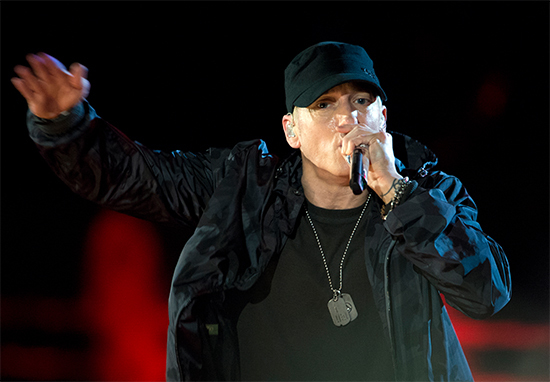 According to HipHopDX the film, which is set to debut at the Toronto International Film Festival, aims to look at race relations, something Eminem had to deal with when he came up in Detroit’s infamous battle rap scene. Bodied is set for release this year at the TIFF on 7th September.